3 Bedrooms, 2 Bathrooms, Occupancy 9, Ski In and Ski Out Access Unbeatable location with views of Lone Peak Mountain. 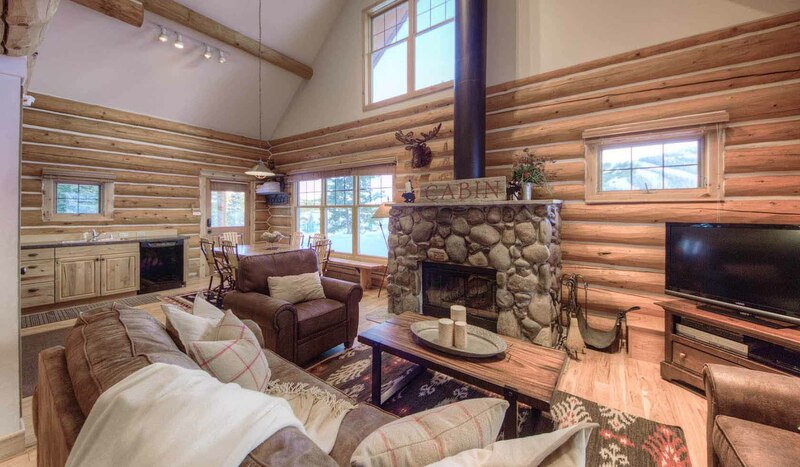 The Powder Ridge Cabins are convenient to the mountain village, have a unique private location, luxurious amenities and a beautiful wooded setting. Lots of space to play outside the cabin in both winter and summer. Sledding and snow play right out the door! Here you are just steps from some of the best skiing in America at Big Sky Resort with access to over 5500 acres of terrain, 24 lifts and 220+ trails. In addition, nearby Lone Mountain Ranch offers more than 80+ miles of groomed trails to explore and has been voted the #1 Nordic ski resort in North America. Only 1 hour from the west entrance to Yellowstone National Park.